If your 9-to-5 (or insert other time here) requires a uniform or a buttoned-up dress code, give your black pants & blazers a break. We’re not saying that you should break the rules, we just think that it’s time to bend them a little—fashion-wise—at the workplace. Don’t worry, we won’t report your outfit upgrades to HR. Read on for 10 ways to hit refresh on your workwear! 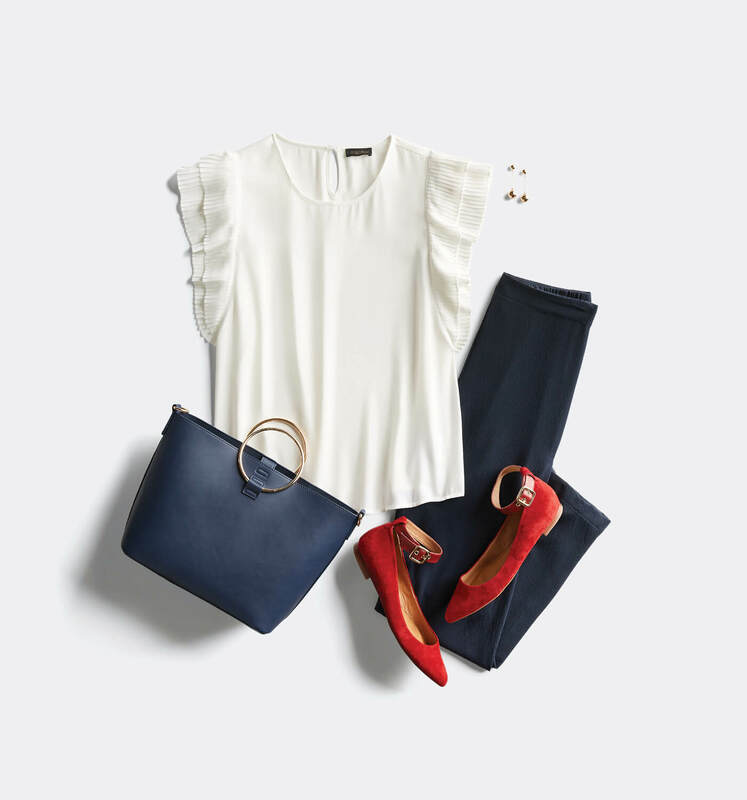 If you normally go monochrome or stick with a classic black & white palette, mix up your workwear by adding in pieces in your most flattering colors. If you’re hesitant to add a lot of color to your wardrobe, start small with a darker shade of lipstick or a bright purse. A tactile cropped tweed jacket or a lace skirt can instantly dress up any workwear staple. A buttery smooth leather jacket or a silk top counts as a texture too! Nothing says “I’m the boss” (or should be) more than a structured power tote. Not only will it keep your laptop, presentations, personal effects (and your mind) organized, but it’s the ultimate commuter accessory. Show up on a Friday in a pair of dark-wash denim trousers. Pair them with a more formal blouse and your impulse-purchase pumps (you know the ones) to elevate the look. There’s room in everyone’s jewelry box for classic diamond studs & pearls. But try reaching for bolder statement pieces—like shoulder-dusting earrings or a collar necklace the next time you’re accessorizing at 7 a.m.
We’re not talking flip-flops or sandals here—think an elegant peep-toe that reveals just a hint of your latest pedicure. If you’re nervous to play that game, opt for a sheer tight in a fun color to add some more coverage to your leg line. If you normally wear straight leg trousers to work, try switching up your pant silhouettes. Try out a bootcut trouser in place of your skinny work pants and pair it with the blouses you already have in your closet. If you have a collection of dresses in your closet that don’t get much wear, it’s take-them-to-work day! Layer a classic blazer over a bright, printed dress for an enviable office ensemble. There’s no color off-limits at the office, just make sure the hem of your dress reaches just below your fingertips when you hang your arms at your side. Refreshing your wardrobe doesn’t always have to mean rehauling your entire closet. If you always slip into your ballet flats before you head to work, try out the athleisure trend by lacing up a pair of sneakers. No matter the season, you can always layer on key pieces to wake up your work ensembles (kind of like that second cup of coffee feeling!). Try out a duster vest over a white button-up and pencil skirt or a sweater under a jean jacket. Ready to recharge your workwear? 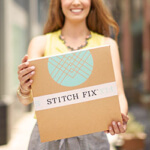 Schedule a Fix and let your Stylist know to send you pieces to pump up your 9-to-5 wardrobe.